Stanford Children's Health and Lucile Packard Children's Hospital Stanford have been awarded the 2017 Enterprise Nicholas E. Davies Award of Excellence for outstanding achievement in using health information technology to improve patient outcomes. HIMSS, the Healthcare Information and Management Systems Society, has given the award each year since 1994. It recognizes healthcare organizations' use of information technology to achieve better clinical and financial outcomes. "This is a significant milestone for Stanford Children's Health," Christopher G. Dawes, president and CEO of Packard Children's and Stanford Children's Health, said in a statement. The achievements were made possible through excellent partnerships with clinicians and by leveraging innovative health information technologies and data analytics, he added. Led by CIO Ed Kopetsky and CMIO Natalie Pageler, MD, representatives from Stanford Children's Health's Information Services and Clinical Informatics teams presented case studies to HIMSS demonstrating the organization's use of technology to improve implementation strategies, workflow design, adherence to best practices and patient engagement. The case studies presented Stanford Children's Health's innovative use of technology in three areas: The prevention of nephrotoxic acute kidney injury in hospitalized children; safety interventions for medication administration; and improved care for patients with congenital heart disease through the Clinical Effectiveness program that uses a data-driven and data-transparent approach to securely collect information from EHRs. 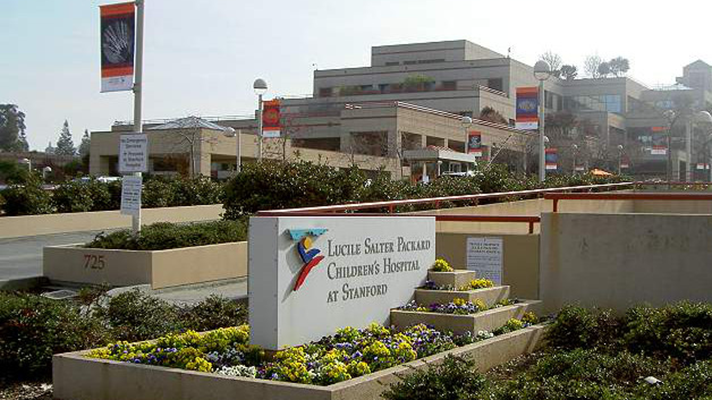 Lucile Packard Children's Hospital Stanford and Stanford Children's Health will be recognized at the HIMSS18 Awards Gala on March 8, 2018, in Las Vegas.